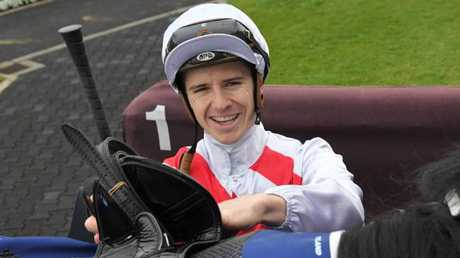 HAVING described Jason Collett as a "genuine' Group 1 rider during the autumn carnival, trainer Kris Lees trusts the experienced jockey to give star colt Graff every opportunity to win Saturday's Group 1, $1 million Golden Rose Stakes (1400m) at Rosehill. Collett is closing on 1000 career winners but is yet to secure a major. While he's not feeling the pressure to win one, he knows a breakthrough win in one of the most important Group 1s in Sydney would put his name up in brighter lights. "It would be a huge thrill," Collett said. "I feel I'm a regular Group 1 rider these days and I'm getting better rides in the Group 1s now and winning one is a big box to tick. "It's a stallion-making race. There's a lot more on the line than the prizemoney and it's really stamped itself on the Sydney spring calendar now as one of the main races." Collet has ridden the Star Witness three-year-old at his past two runs this preparation for a classy 2½-length win in the San Domenico Stakes and a narrow loss to Lean Mean Machine in The Run To The Rose (1200m). Graff showed plenty of fight in The Run To The Rose after being trapped wide in the run and he was entitled to finish only midfield against a glamour group of colts. Lean Mean Machine was impressive late but got a cushy run and Collett thinks Graff can get his revenge. "I've had two rides on him now and he's gone well both times," he said. "He didn't have a lot of luck last start but still performed very well. He's got a bit of fight in him and I don't think he was very comfortable on that surface and he'll be getting back to a more suitable track this Saturday. "I'm confident we can turn the tables. 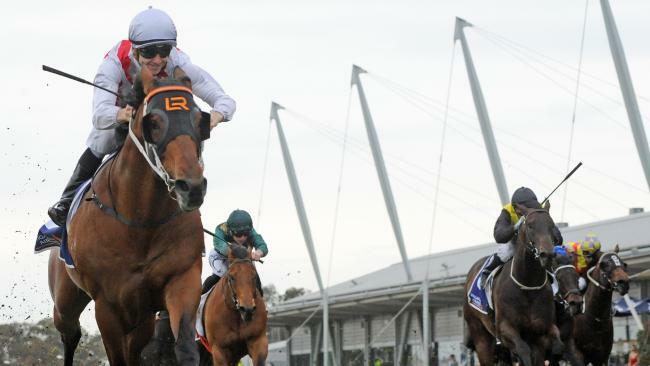 Lean Mean Machine had all the favours and he probably handled the track better." Graff won't have to jump out of gate 11 on Saturday. Barrier four will allow Collett to put him where he's comfortable. He is Ladbrokes' $3.50 favourite but the Chris Waller trio of Lean Mean Machine, The Autumn Sun and Zousain are breathing down his neck in the market. "I'm happy with our chances going into the race. He's done things right and I'm looking forward to it," Collett said. "He had the good barrier first-up and was able to make use of it but was dictated to by the wide gate last start but he's still flexible. "I've talked to Kris a few times since and he said he pulled up well and is happy with him."